Ginger Rogers. For more pics, click here. Question: Discuss Bibliotherapy. Do you believe literature can be a viable form of therapy? Is literary writing more or less therapeutic than pop lit or nonfiction? My thoughts: I could ramble on and on about how I feel reading is an extremely effective tool for therapy, and I think we all feel strongly about that. Sure, you could pick up a self-help book and identify your trigger mechanisms contributing to poor choices, depression, bad relationships, etc., but I don't look at those books as the right tool generally speaking for the purposes of this conversation. Oftentimes, what a person can truly need is pure distraction from the events that might be occurring in their lives, whether they are monumental or are simply slight challenges that worry their minds. Either way, reading is effective, and incorporating writing into the process becomes even more cathartic. And let's be honest - it doesn't have to be considered "high-brow, stodgy upper-crust literature" to be effective. Women's fiction, contemporary fiction, chick lit, whatever we want to call it - aren't those great distraction methods while at the beach and whiling away our time? And what about Young Adult books? Aren't those also an excellent example that children can go through horrible things, and reading and writing becomes their only outlet and salvation? I always get annoyed with the controversies and brouhahas over Young Adult books being too expressive or graphic, or "not suitable." It doesn't really make sense to me since after all, to read about another person going through the same thing makes you one of many, right? I will always state that we are never truly alone if we have a book. I agree and think that literature is theraputic for many reasons. I can't tell you how much I have learned about people, and interactions with them and between them from reading. Even if it's not high-brow fiction, there is just so much to consider when reading, and not only have I learned a lot about others, but about myself as well. Reading has shown me that it's ok to be me, whoever that "me" may be, and that it's ok to let others be themselves as well. I bet you can tell that this topic gets me pretty excited! I have to applaud your answer -- this is exactly it. Books have saved me, many times! I agree with you! Just think of all the teens who have been comforted by a book that made them realize what they're going through is normal. Books have been my crutch through many difficulties. But there's no one size fits all. I agree with you. Sometimes I need to be immersed in something truly beautiful. Other times I just need to get lost in another world right away, even if I'll forget the book next week. You make your opinion quite clear here and I'm surprised at how many people turn to books as therapy. Why not? They're accessible, varied, and relatively inexpensive! I love reading and, yes, it is a distraction from reality. However, sometimes it can have a depressing effect when you're a bit down, so what impact can it have when you're actually depressed? Zibilee - That's such a great point, Heather - I, too, have learned so much about other people just from reading, and it has made me a better "me." Great point! Audra - We should create an image of a lifesaver made out of books! bermudaonion - Agree completely. There are so many YA examples that have successfully helped during some of the most angst-ridden times of a person's life! Susan (Reading World) - I love to be distracted as well, and sometimes the fluffiest book gets me out into a different world. Although, right now, I'm reading the opposite of anything fluffy with George RR Martin's Game of Thrones series and I'm totally swept away! Em - Sometimes a truly depressing book (The Lovely Bones, for example) is eye-opening and educational and in that, I find cathartic and releasing. For me, it might be depressing but brings a level of awareness for me, but for someone else, it brings a sense of identification. That is a win, in my book. I love that thought, it's true, you're never alone if you have a book. 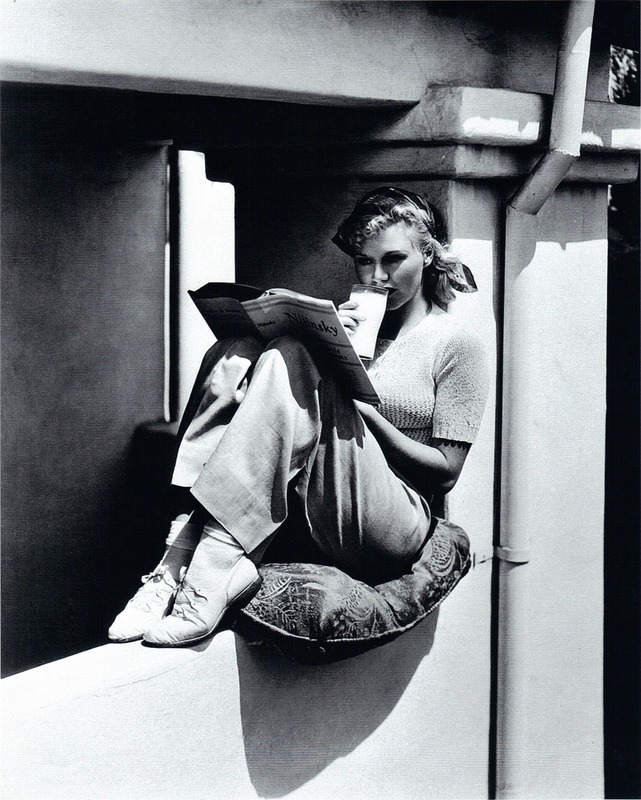 Great photo of Ginger Rogers too!